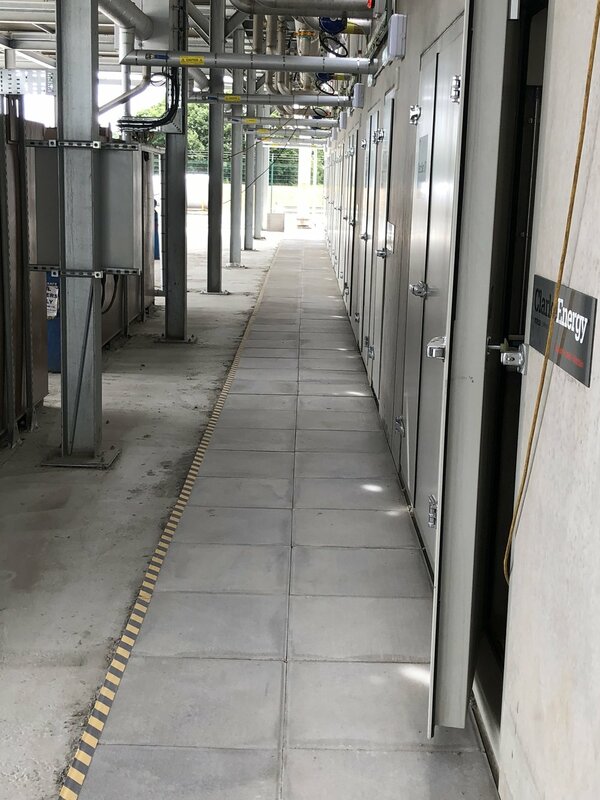 After completing the main contract works on our Hull project in 2017, B T O’Sullivan were contracted to completed further concrete works to the existing site to bring the entire project to a completion. Due to the nature of the site, it was required that a bunded slab was constructed to retain any potential oil spills from entering the watercourse. Working with a design engineer, we designed a reinforced concrete slab with 3no pits with the 50mm upstand around the perimeter of the 60m x 15m slab. Other finishing works on the site included the construction of a 65m x 1.2m footpath to provide a safe platform for access.